If we were to round up some of the best vacation spots in the world, we are pretty sure that Bali, Indonesia would make or even top that list. This exotic island situated in Lesser Sunda Islands in Indonesia has been attracting travelers for years now, and it’s no wonder—Bali is rich in natural beauties, inhabited by friendly locals, and they’re culture is incredibly fascinating. Let’s take a look at some reasons why Bali should be in your to-travel list this year. Bali is home to some of the most magnificent nature forms. Some travelers refer to Bali as Island of the Gods because of its beautiful interiors. The beaches are calming but at the same time stimulates your sense of adventure. Some luxury hotels in the island also provides a panoramic view of vast rice fields that will instantly make your luxury escapes even better. 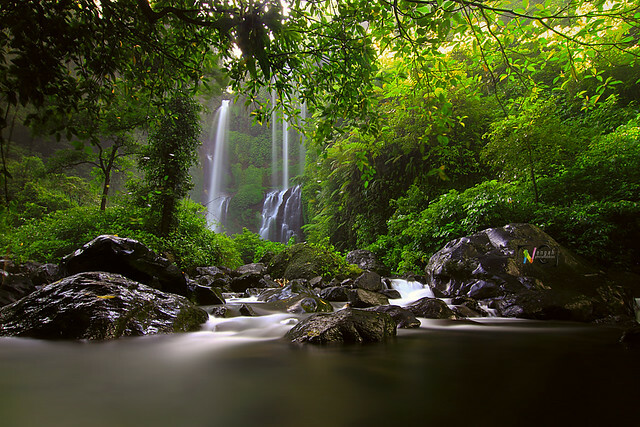 Tourists also go to Bali to see its undiscovered waterfalls that gives the eyes a refreshing view. You get to give yourself a gastronomic treat through Balinese Cuisine. One of the reasons why food in Bali is popular and appeals to a wide range of palates is because their cuisine is actually influenced by their Asian neighbors. It’s like all your favorites were hand-picked and turned into a better version of itself by adding the finest flavors of Indonesia. You’ll find some of the best options no matter what your budget is—sample their famous street food, feast in the finest seafood with the day’s fresh catch, or if you’re willing to splurge a bit, indulge yourself in some of their most luxurious restaurants. Better to make sure to try out Nasi Goreng and Satay before you leave. Being one of the best vacation spots, you expose yourself to its amazing culture. 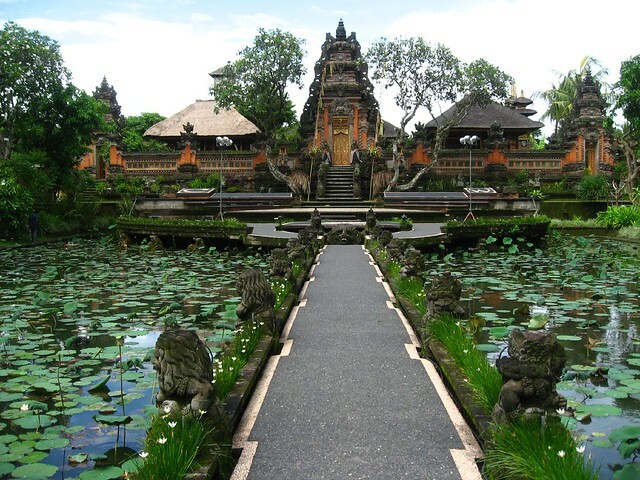 There is a lot to love about Bali, and one of the top things to love is their culture. By immersing yourself in the beliefs of the people of Bali, you reflexively reconnect with your own. Sometimes, you will see people offering some of their fresh produce to their gods and ancestors, or if you are lucky enough, you get to witness ceremonies that only take place in the Balinese community. The last one is not hard, especially since the people of Bali are very ceremonial—they mark each stage of a person’s life with rituals that will leave you in awe. You find out what “relaxation” truly means with the spas of Bali. There is so much to love about the best vacations spot that is Bali, but the most notable of them all is their spas. Some travel experts even dubbed Bali as the spa capital of the world, since they have the best ones, in all shapes and sizes. These honeymoon destinations will get your marriage started off right. One of the most exciting things about getting married is that you have your honeymoon to look forward to. Most newlyweds go on their honeymoon right after the wedding, but some couples choose to have it at a later time. In this article, we have shortlisted some all-inclusive resorts and romantic destinations that will definitely give any couple the time of their lives, no matter when they choose to have their honeymoon. Belize. 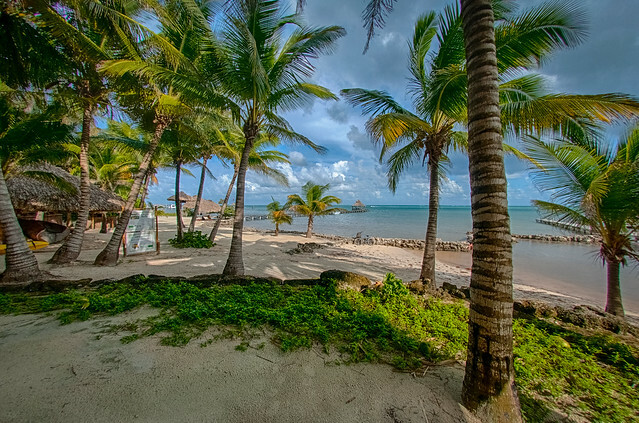 Belize used to be one of the underrated honeymoon spots in Latin America when put next to Brazil and Costa Rica. However, people are slowly starting to take notice of this exquisite destination with its white-sand beaches and some of the vastest reefs in the world. It was even dubbed as “one of the best diving destinations” by popular trip and holiday publications. Xanadu Island Resort Belize is one of the most popular choices, but don’t hesitate to explore your options because Belize surely has a lot to offer. Bali, Indonesia. When people talk about going to Bali for their honeymoon, they automatically think that the whole honeymoon package is going to be a beach trip halfway around the world. There is so much more to Bali than its pristine beaches and the night life that comes with it, though. 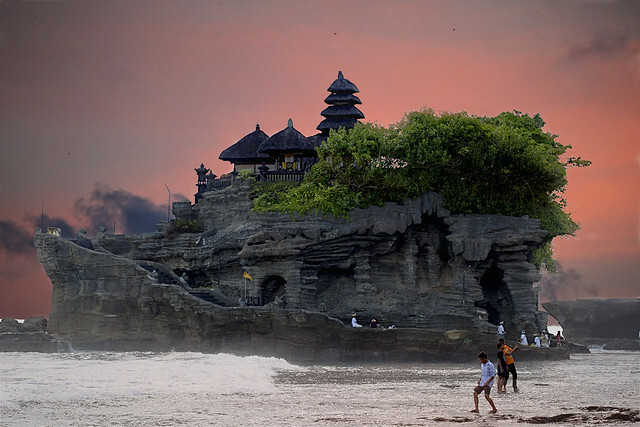 If you’ve ever wondered what a temple built on top of a rock formation looks like, or if it is even possible, then the Tanah Lot Temple in Bali is a perfect destination for you. They also have the Ulun Temple that’s built at the edge of a lake. Other than temples, you can also explore the Sekumpul Waterfalls the Ubud rice fields to feast your eyes on nature’s beautiful creations. Makepeace Island, Australia. If you and your significant other do not believe in setting limit to budgets, then you should definitely go to Makepeace Island. For starters, the island is heart-shaped, making it the ultimate honeymoon destination. Second, if you are looking for seclusion, then you just hit the honeymoon jackpot because the resort mostly accepts one booking at a time so when you and your partner book your trip here, you will be the only guests. Turkey. Indulge yourself in this land of opposites and find out how truly exhilarating it is to be in a place that is so progressive and at the same time conservative. Try not to miss out on its natural treasures like the Pamukkale Thermal Pools, Goreme National Park, or the Lake Van. Find all-inclusive resorts that let you enjoy all there is to see in Turkey, and a truly memorable place to stay at, like A’JIA Hotel that lets you spend every waking day of your vacation looking at the beautiful Bosphorus strait.